On any given day, thousands of special operations forces are deployed to more than 100 countries across the globe. More than half of those come from the Army’s Special Forces. And for many of those deployed in small groups in faraway places, a family waits at home for that soldier to return. Events in recent weeks highlight both the triumphs and tragedies faced by family members of special operations forces — from the long overdue Medal of Honor for then-Sgt. Gary “Mike” Rose for his actions as a Special Forces medic in Laos, to the deaths of four special operations soldiers in Africa earlier this month, including two Green Berets. Amid these events, a small group of dedicated spouses met this week, as they do each year, to honor family members who work on the home front both within their own military community and beyond. 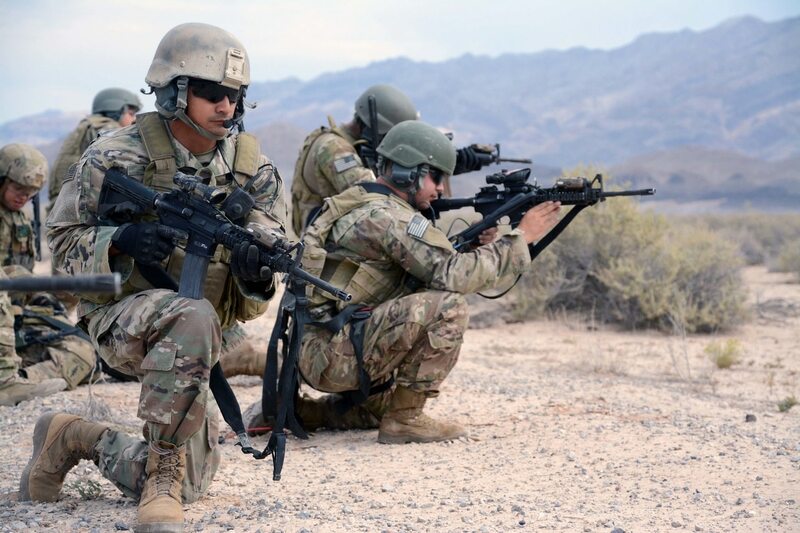 The nature of special operations deployments, in small units, frequently throughout a career, can isolate the soldiers and their spouses, making connection and support between members even more important, the women said. Two of the command staff spouses shared their own experiences. Suzanne Tovo, the wife of Lt. Gen. Kenneth Tovo, commander of U.S. Army Special Operations Command, has been married to her husband for 32 years. She still remembers when her husband, then with the 82nd Airborne Division, came home and asked if she’d like to go to Okinawa shortly before submitting his application to try out for Special Forces. At that time, family readiness groups didn’t exist. Spouses in the special operations community were very much in the dark, she said. And the culture was quite different. As an officer’s wife in the 82nd, she was expected to attend certain social functions only with other officers’ wives. But as the wife of a young Special Forces officer, both officers and enlisted wives mixed because the teams were so tightly woven and worked so closely together. Only other Special Forces spouses understood what the constant deployments were like, she said. Angela Abernethy, the wife of Command Sgt. Maj. Robert Abernethy, also with U.S. Army Special Operations Command, has been in the community for seven years and married to her husband for the past four. She said she knew little about special operations when she first arrived, but the other families were more than welcoming. The two women have been institutionalizing much of their own experiences with the help of other spouses, traveling to each of the far-flung Special Forces groups and meeting with spouses and family readiness groups. They’ve also helped create a program called ONE TEAM that connects the families of students going through highly demanding Special Forces training with families of current operating SF soldiers. This past week, the women emceed an event to honor fellow spouses for their often-unheralded work in the community. Carolyn Roberson, 1st Special Forces Command. Roberson has advised battalion commanders and spouses on FRG programs, organized events for Gold Star families and helped create an online resource sharing service for special operations families. Leslie Shorter, 1st Special Forces Group. A Special Forces spouse for 24 years, she has served in FRG leadership from detachment to battalion level and worked as a civilian agency advocate and Red Cross volunteer. She created a mentorship program for Special Forces spouses. Amy Miles, 5th Special Forces Group. A Special Forces spouse for more than 23 years, she has volunteered with FRGs for decades and educates and mentors other spouses. Doris Chandler, 10th Special Forces Group. A 10th SF Group secretary for more than 21 years, Chandler is an active volunteer for FRGs and a member of the unit’s care team. Mary Sekelsky, 10th Special Forces Group. An SF spouse for 36 years, she decades before there were FRGs. Sekelsky is a Special Forces Association Ladies Auxiliary founder and continues to assist SF families in retirement. Magdalena Eylicio, 19th Special Forces Group. She facilitated three soldiers’ return due to Red Cross messages during a recent Afghanistan deployment. Eylicio also organized donations to a soldier wounded in action and assisted with support for a dozen baby deliveries during the deployment. Bobbi Curris, 4th Military Information Support Group. A psychological operations branch spouse for more than 17 years, she has done “hundreds of tiny acts that have made significant impact on the mental and emotional state” of special operations families. Cathy Storey, 95th Civil Affairs Brigade. A civil affairs spouse for more than 20 years, she has planned and organized two brigade balls, and guided spouses, staff and commanders of roles and duties with tools they need through a two-year training plan.